Kaden Hopkins won his first Collegiate A category race on Saturday. 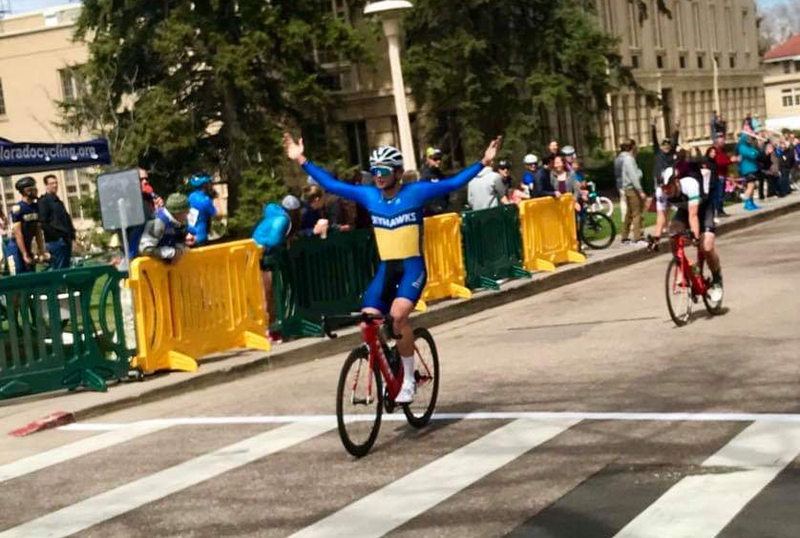 Riding for Fort Lewis College in Durango Colorado he took victory in the 68 mile Cobb’s Lake Road Race organized by the Colorado State University. He then followed this up winning the Oval Criterium as part of the same race weekend. The freshman returned to Durango later the same day.